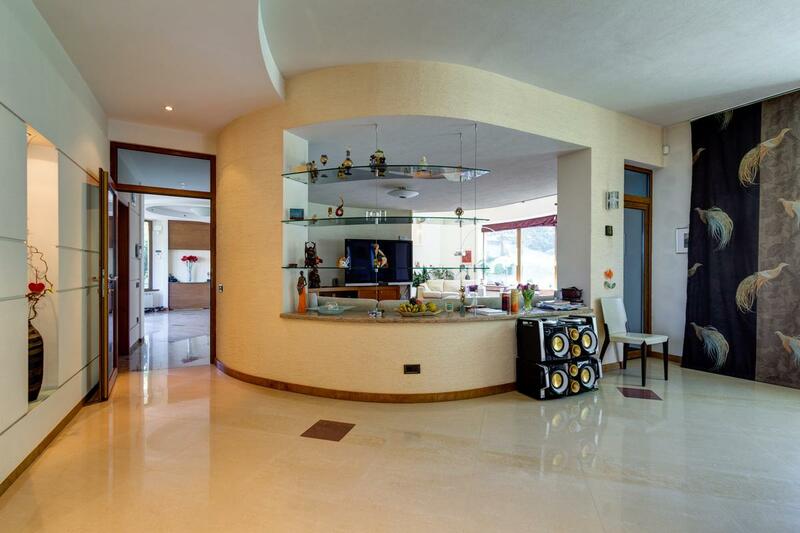 First class property with classic architecture, furnished and fully equipped with high-class finishing. 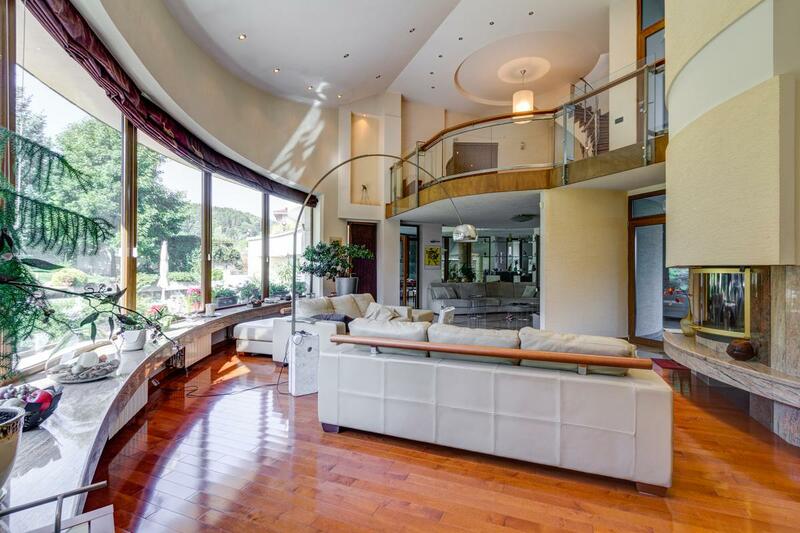 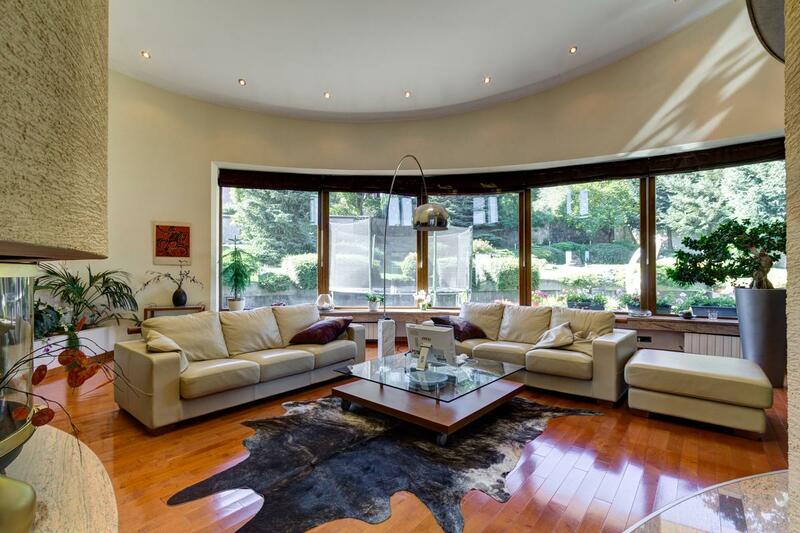 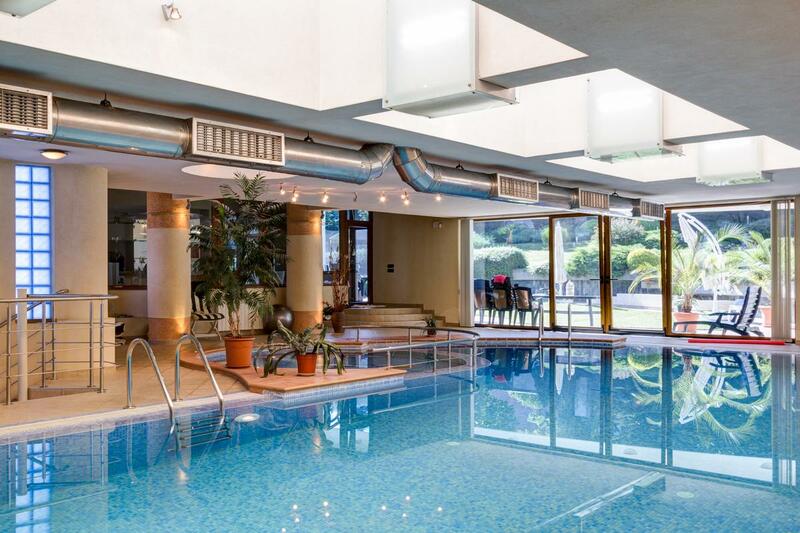 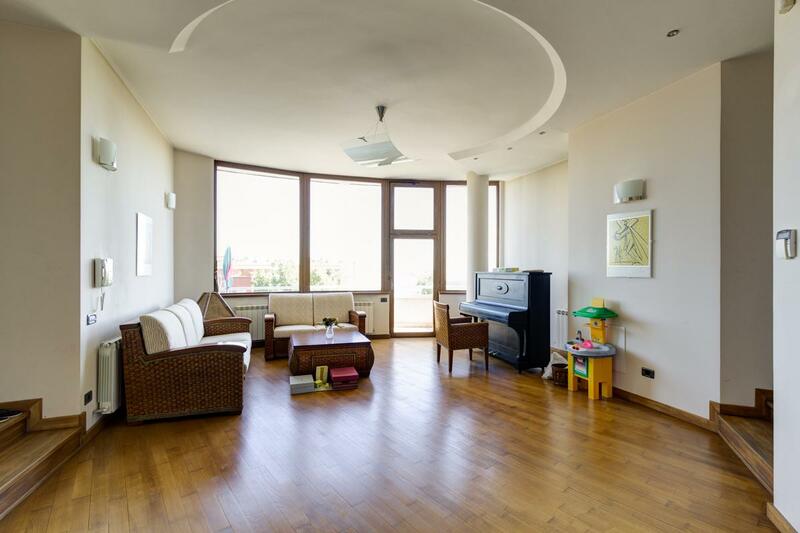 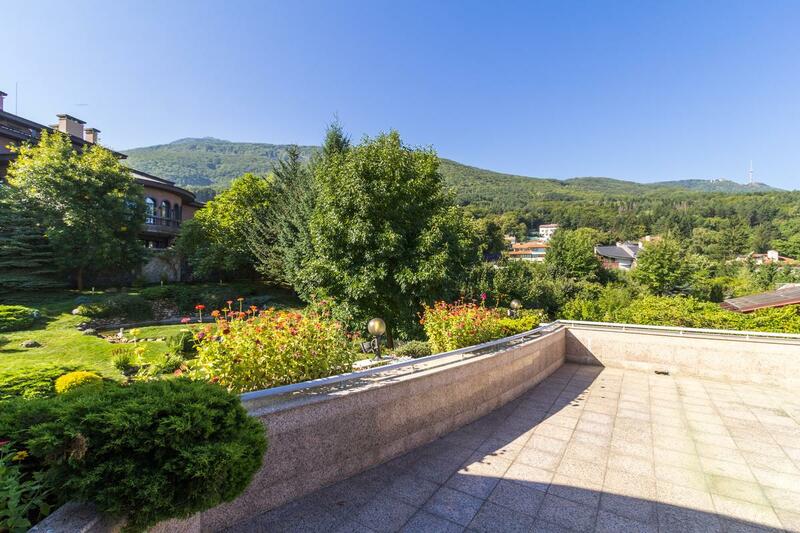 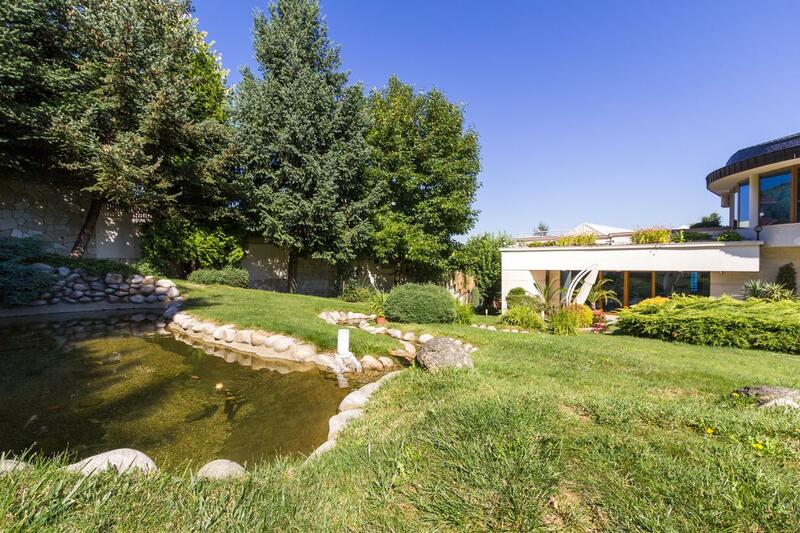 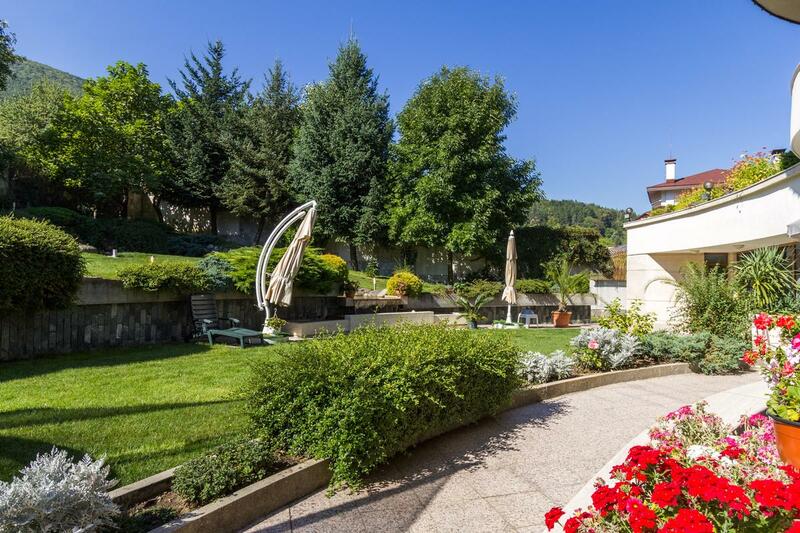 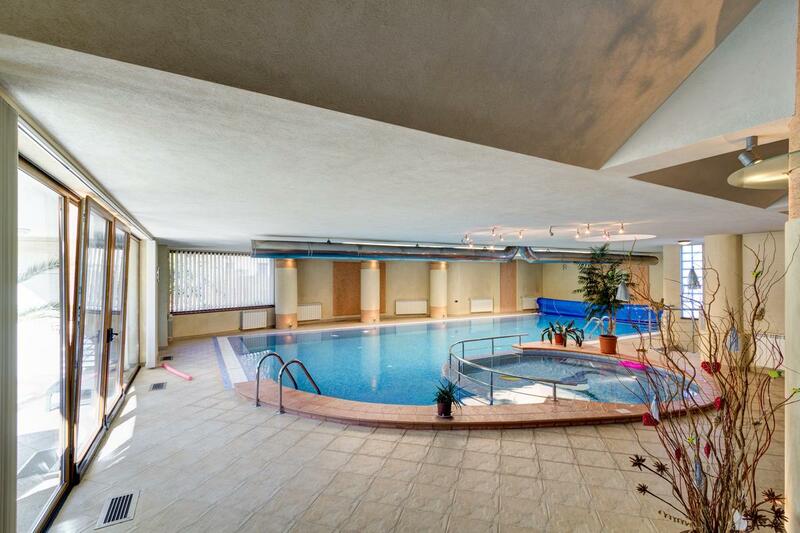 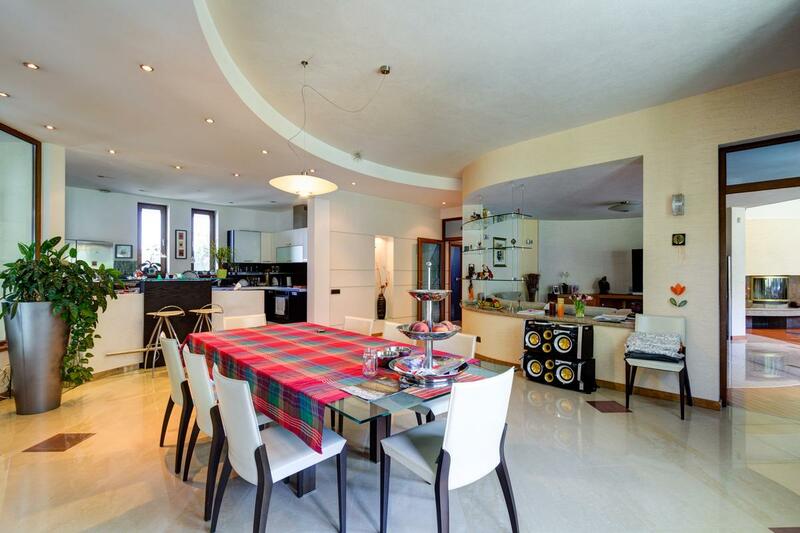 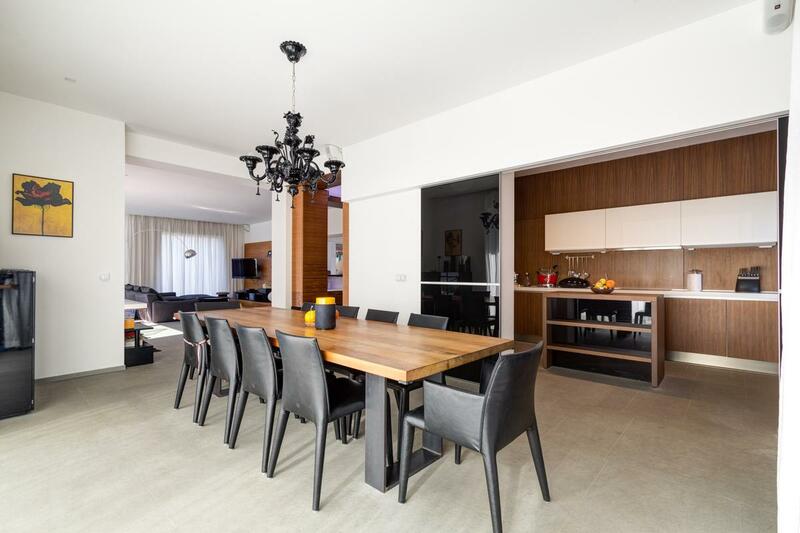 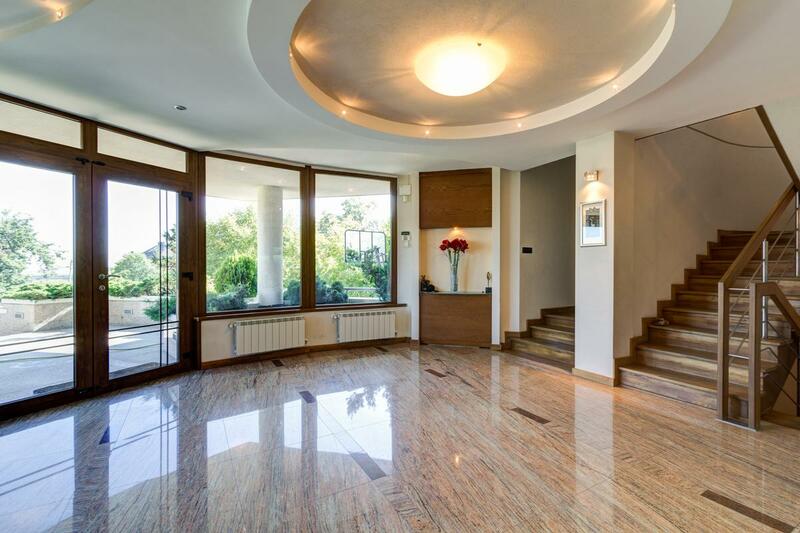 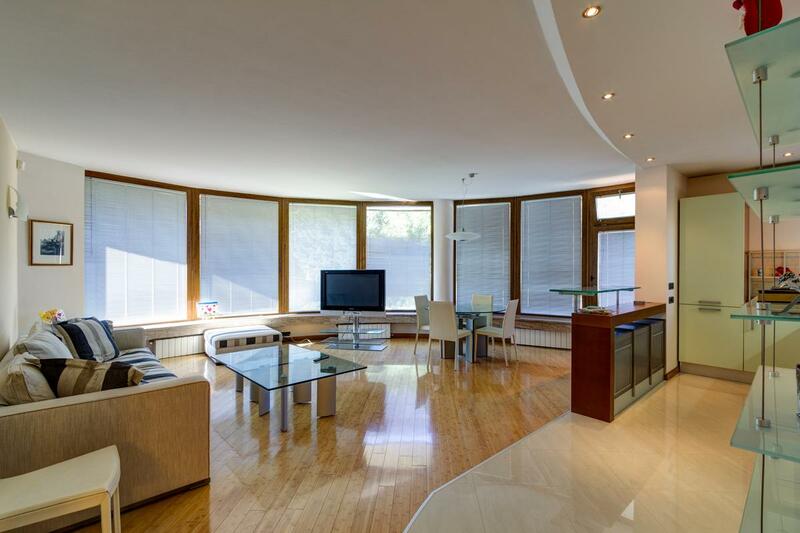 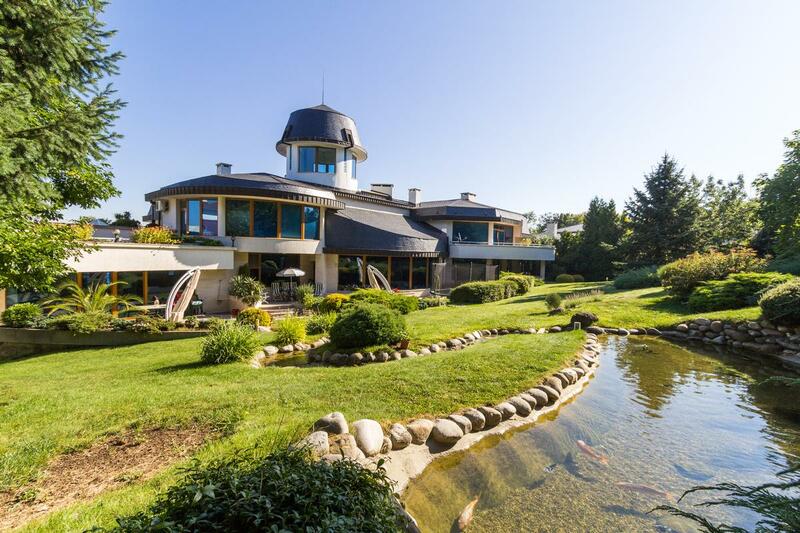 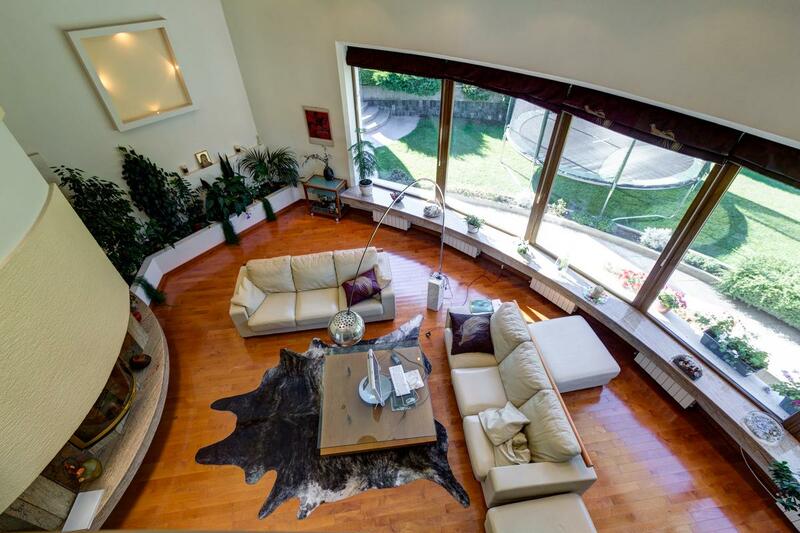 The house is on three levels and full facing towards the mountain, which provides stunning views to Vitosha mountain and sunny yard, beautifully landscaped. 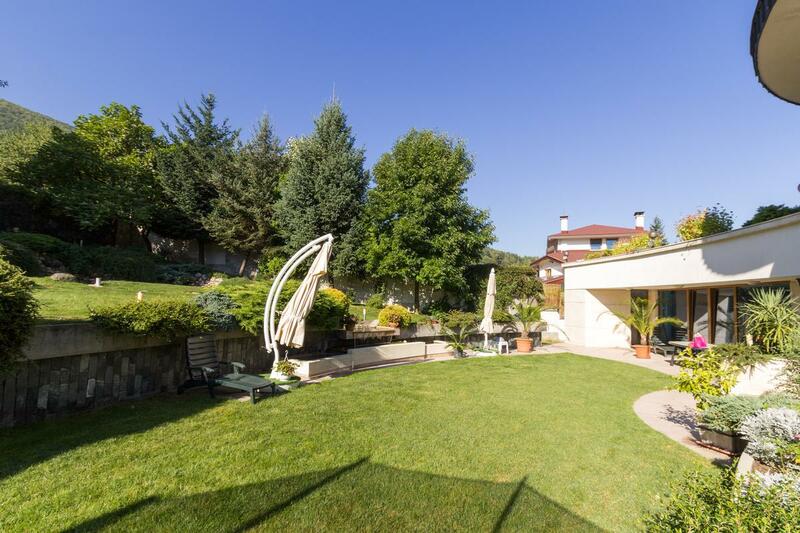 Basement: tavern with fireplace and equipped kitchen, winery, gym, sauna, solarium, bathroom, laundry room, apartment for staff with bedroom, living room and kitchen, bathroom, garage for five cars. 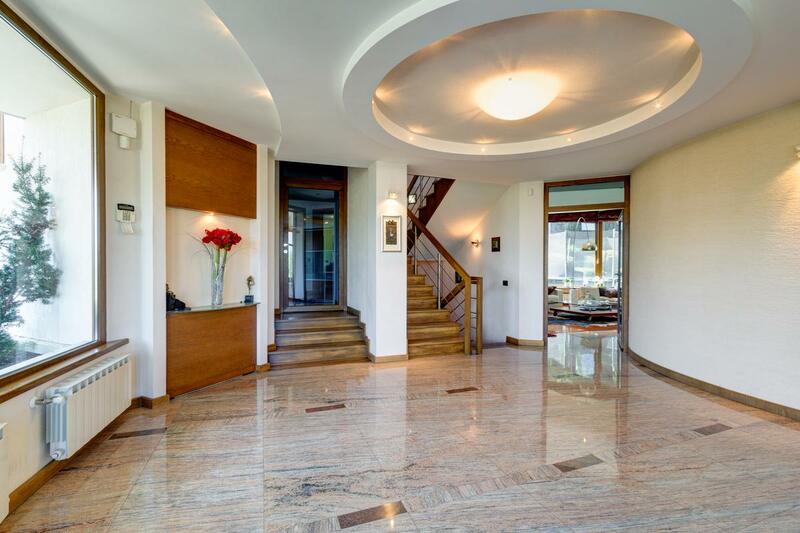 First level: representative entrance with foyer, oval living room with high ceilings and direct access to the yard, fireplace, panoramic dining room and luxury furnished kitchen. 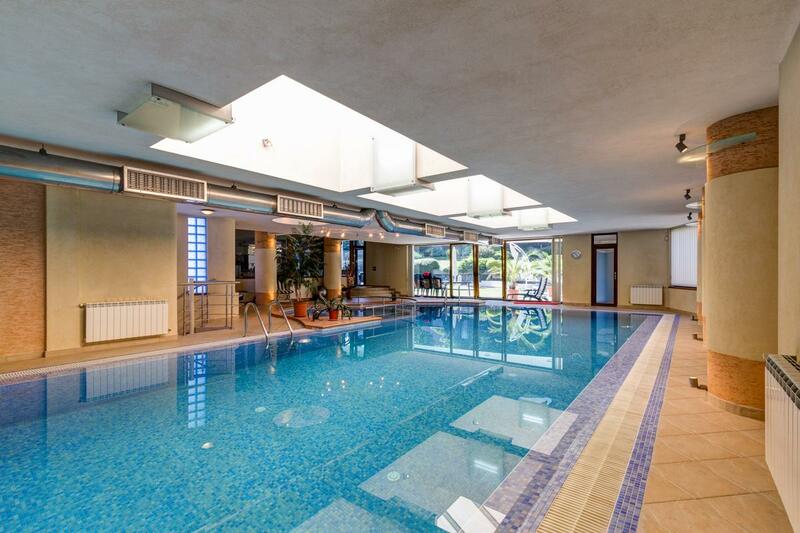 Indoor pool with full equipment, master bedroom with French windows and direct access to the garden, full bathroom and dressing room, two additional bedrooms, bathroom and a guest toilet. 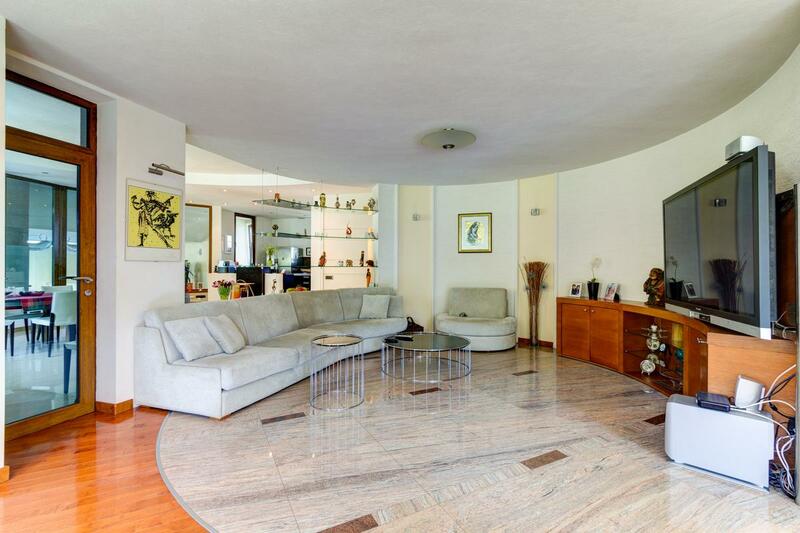 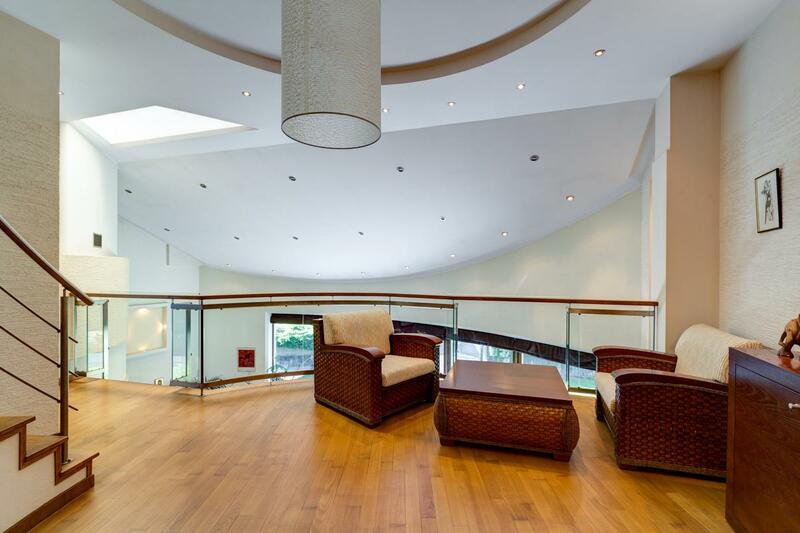 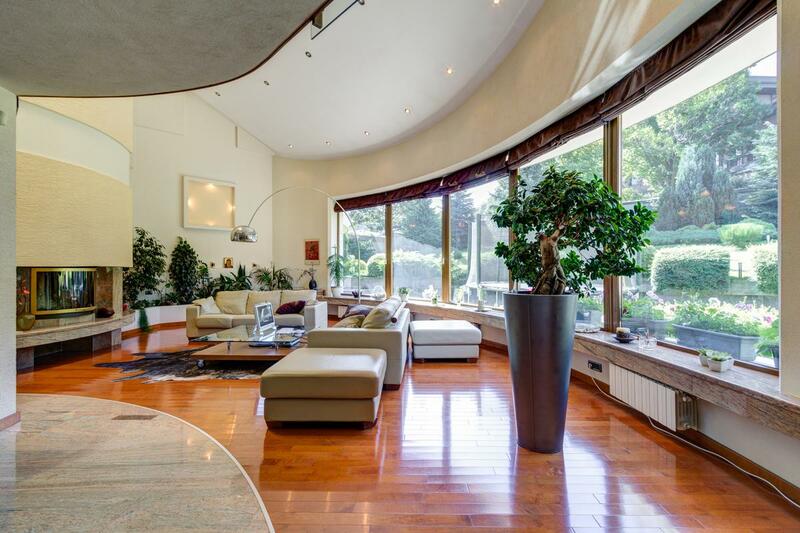 Second level: oval atrium with view to the second living room, two private apartments, each with living room with kitchen, panoramic terrace, two bedrooms and full bathroom. 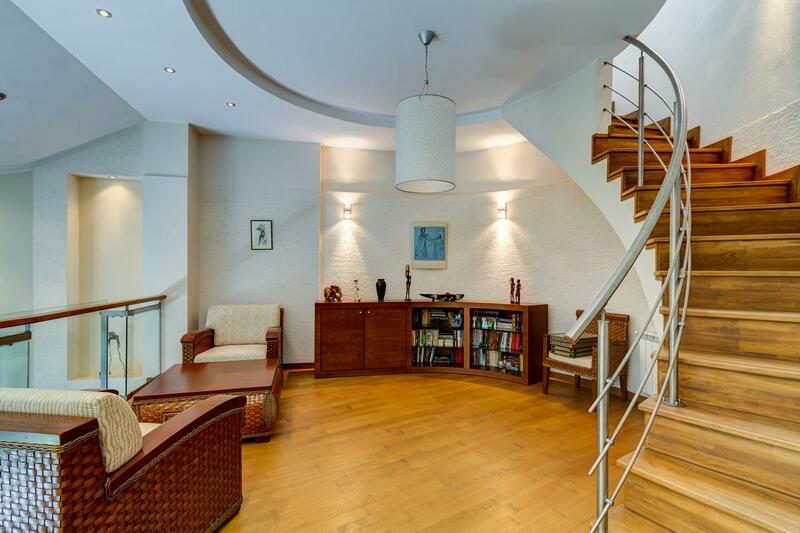 On this level stairs are leading to panoramic studio - study room, with beautiful views to the mountain and the city. 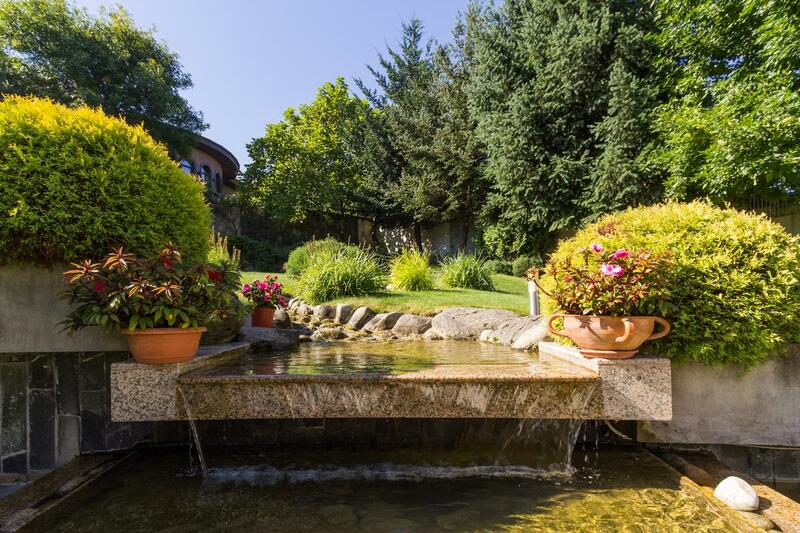 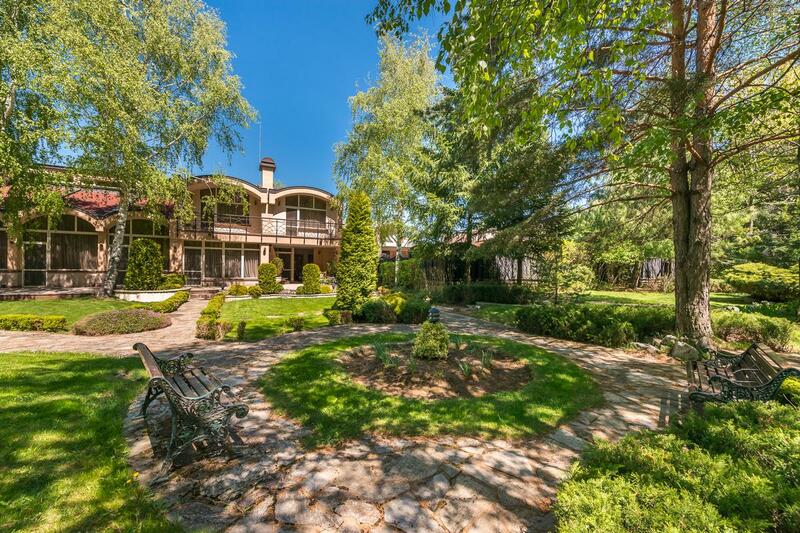 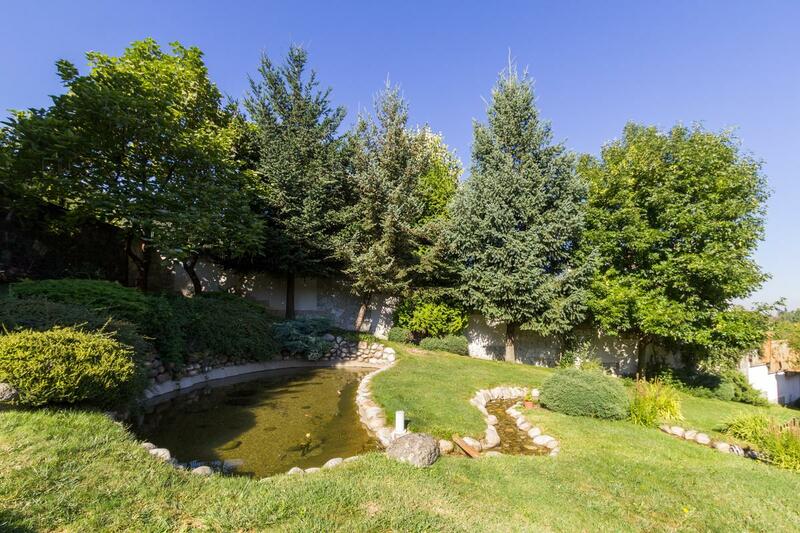 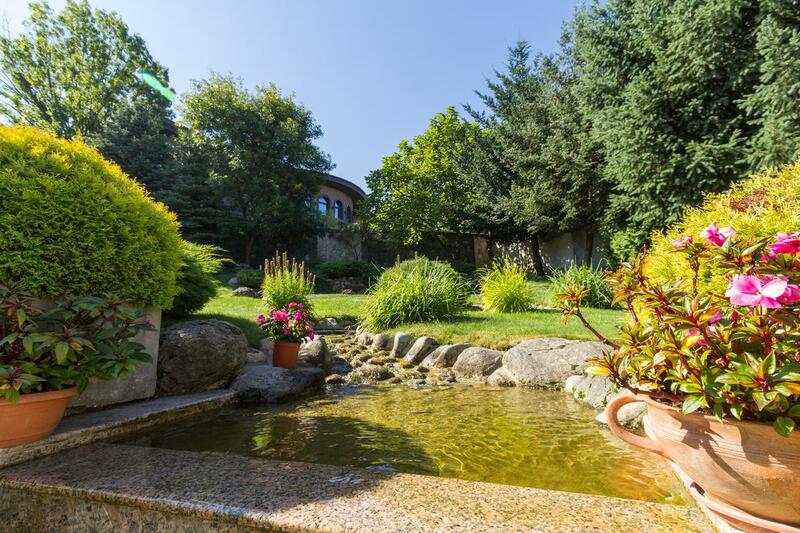 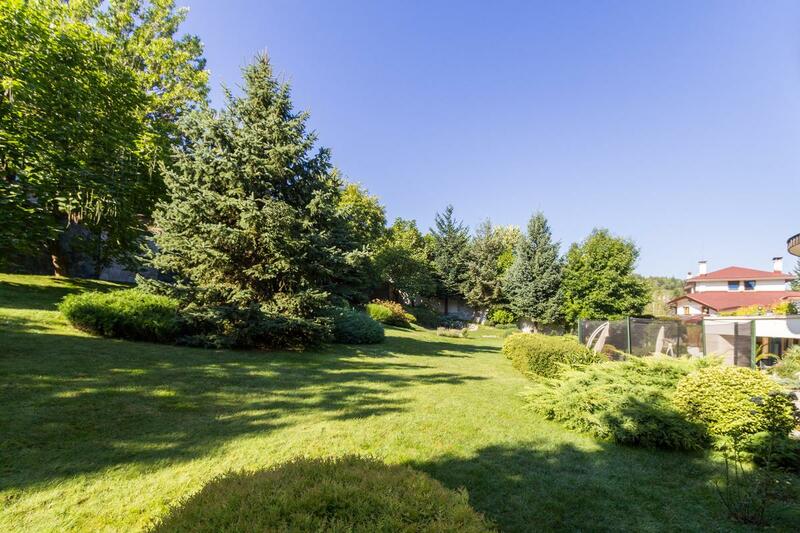 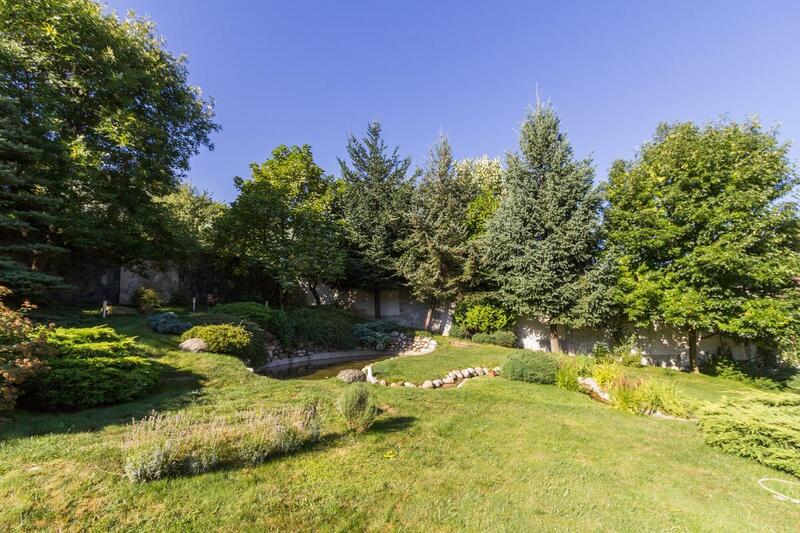 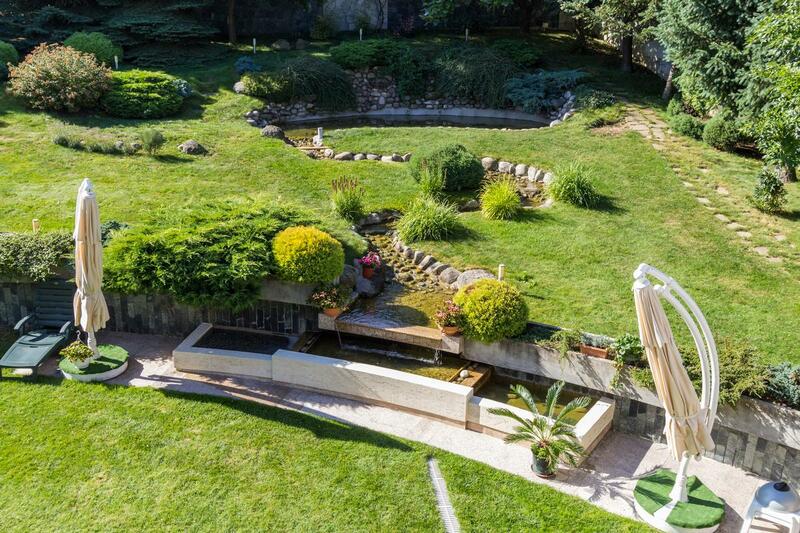 The yard is terraced on three levels, with beautiful landscaping, small pond with waterfalls. 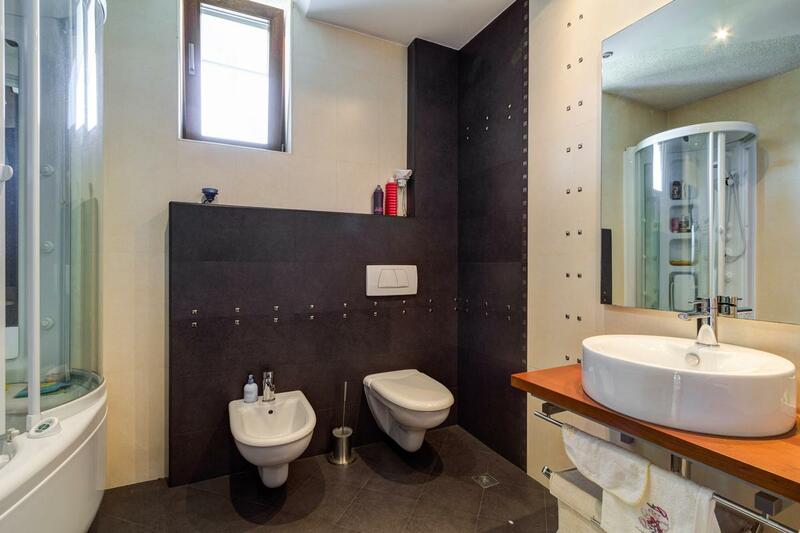 The heating is on gas or petrol.